At the Buzz Around, we believe in the inherent goodness of humanity. We also understand the power of positive and so believe it’s important to spotlight those that are working hard to improve our lives & our communities . This is the good news we publish. Whether its our volunteers, our small businesses or our communities of faith; we work toward a world where we appreciate and respect each other; not despite, but because of our differences! The Buzz Around is an exciting place to work. We value each individual, and the time & gifts they share. 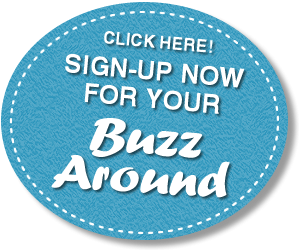 Franchise a BuzzAround in your community. Buzz Around Internship from Buzz Around on Vimeo.